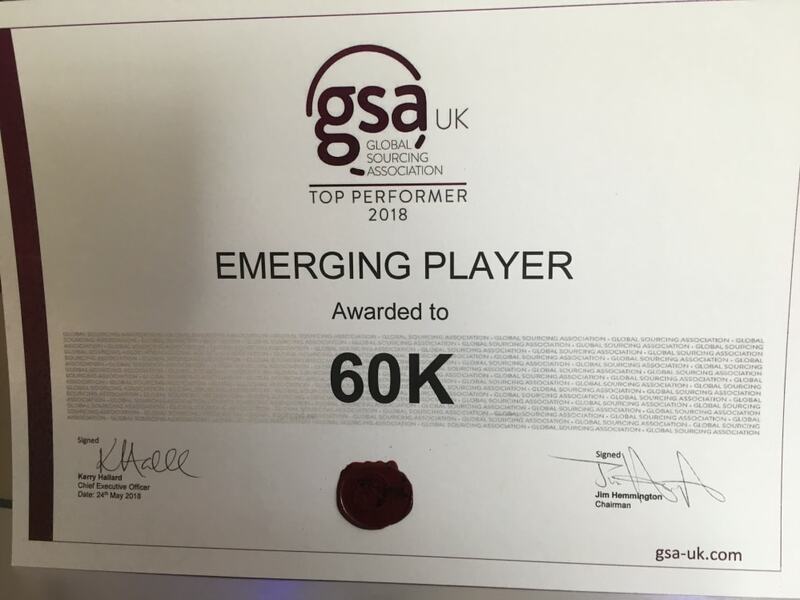 We are extremely happy to announce that 60k has been chosen as a Top Performer in this year's GSA Awards! We have been honoured in the "Emerging Players" category together with some of the industry's elite! The awards celebrate the best of the best in the business who have made exceptional contributions to the positive reputation of sourcing and have helped shape the current and future state of the industry! Many thanks to our hard working teams and everyone who contributes towards our development and growth on a daily basis! We hope to have plenty of similar occasion for celebration in the future and we cannot wait to share them with you!